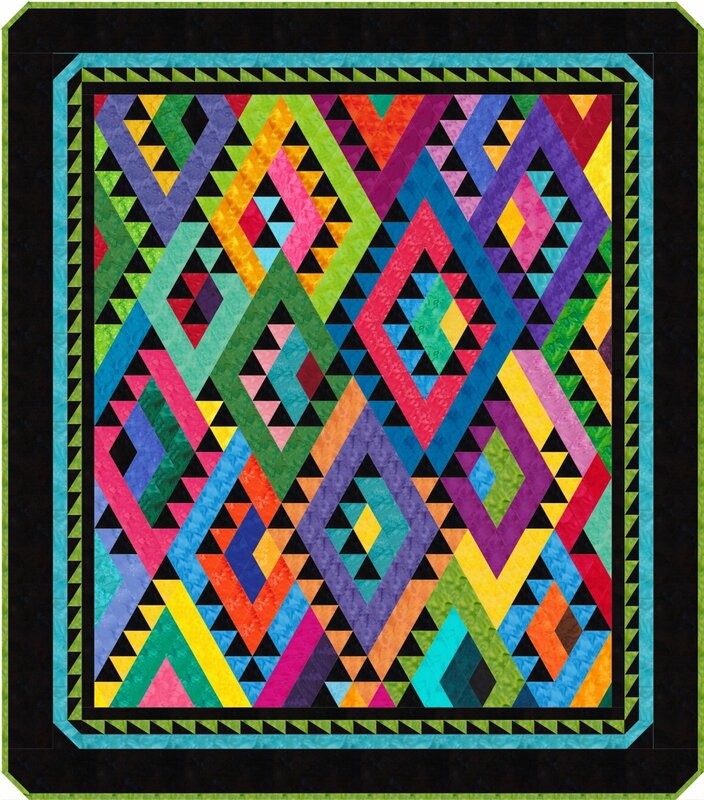 Beautiful lap quilt with a Southwestern flavor, bright colors, and easy piecing. 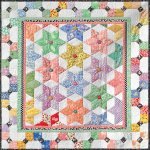 Made with Jelly Rolls (2-1/2" strips) this scrappy stash buster uses diamonds cut with the 2-1/2" Stripper Template From Marti Michell (sold separately). No set in seams, this quilt is made in diagonal rows which are easily joined. The border is foundation pieced for accuracy and simplicity. Pattern is in full color with illustrations and color photos of each step in the process of cutting, organizing, sewing, and finishing. Easy enough for a confident beginner, and challenging enough for a seasoned quilter. 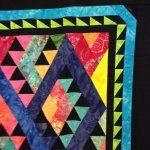 Bright batiks with solid black for triangles and border make a stunning contrast.